Do you people still stick with WHMCS or will move to Blesta or another billing system ?? Trying to using forum search function, there are a same thread and you can make references. Whmcs fan here, using for years and never had issues with them. I have some people asked me they wanted to have a support ticket system but Whmcs is just for supporting customers on hosting sites? is that true? I think they want a help desk only for tickets. Something like Kayako, Vision help desk and osticket. They have many features which WHMCS doesn't. Well there are many paid/free helpdesk scripts/systems. Agreed and they are good alternatives to whmcs and blesta. For me, I find Whmcs more convenient to use than Blesta and it is used by more people and pretty popuplar. 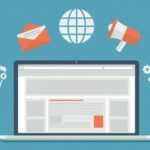 The main "problem" is, that many of the guys here and there want to play the "Big Guys" in the hosting industry, but they don't have a few "cents" to spend for a reliable business system. WHMCS isn't a support ticket system, but a customer billing system with a ticket support function. Can I use it for other niches, not for web hosting. Is that possible? Sure, you can, but generally it's mainly developed for web hostig purposes, I think you will pay for functions which you will never use. More and more you see WHMCS working on a website selling licenses, so that would be another perfectly valid niche. WHMCS, has been updated very well, has continued to improve a lot and is constantly updated. Blesta is better because you get a multi-domain license (multibrand) included in the ~$20 per month price range. WHMCS is more expensive if you want multibrand. Cheaper doesn't mean that it is better. Blesta is just too lacking in features compared to WHMCS. After using WHMCS for some years now it would be difficult to switch to an other program, the new program would say they have an import module to make it easy but to learn the new program would take time, I would rather stay put and keep using what I have been for now. WHMCS is really good because for one its simple to use, I have never used 'Blesta', but I have good stuff to say about WHMCS. Just try both and which ever you prefer, you should use. 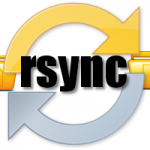 I always prefer WHMCS for automation of billing system. Why? Can you be more specific? Everyone wants to know the details, not just the opinion. - WHMCS support is good. - Very handy and user friendly interface. - Easy to understand its functionality. - Wide range of payment gateway pre-integrated just have to choose them and fill the required information to get started. - All API get easily integrated. I wouldn't call the support good, they took almost a week just to acknowledge a piracy report, despite saying that they take it seriously. General support isn't much better either, I was employed at a web host before I created my own, and they had a few hundred clients, and had to wait days to get small glitches and bugs fixed. It was a joke! Sad to hear this. But I never had such issue with there support till now I have 45+ licenses with them. So i stick to whmcs as long as it offers the same. WHMCS is much better than any other billing systems at least in hosting. It is very powerful and easy to use and also very good price for what you get. Think WHMCS has it in terms of addons, modules and API. However you can do great with both! I never tried blesta but i hope one day i will check it. WHMCS is good but is more expensive but it has alot features. I'm just setting up with WHMCS as we speak. It's taken me two weeks of fiddling and faffing about but, even though it may have been extremely frustrating at the best of times, I am starting to finally see the potential benefits of the entire system. There are some parts that have been a nightmare for me to understand, but that's because there always will be a learning curve with something new, especially WHMCS, but from what I have seen so far, I can already highly recommend it. They make the setting up of selling domain names very easy, as is the integration of payment gateways (I have chosen PayPal and Stripe). I love their pre-written email templates and the ability to edit them but to also add my own. I am using a Wordpress theme using Bridge, and I am about to connect to WHMCS tomorrow. My hosting packages have already been added and so will probably give it the big push come weekend. Wish me luck..! Please let us all know your choice and the journey you're experiencing. Have been using whmcs for years now and don't really find a reason to move to any other billing softwares. You don't see any errors on it for years or didn't get any complaints from your customers when using it? Recently I bought a VPS server from a provider who is using whmcs and I found too many errors on their system. I see Blesta is a paid version . WHMCS is a old and well known. WHMCS is recommend as it has many clients. Still using WHMCS, to be exact, Big fan of WHMCS. I think Blesta should improve themselves more to make profit from the market. What are the best features of Blesta that do you prefer? According to you, what features Blesta should improve? Blesta is more basic than WHMCS due to the lack of modules/addons, but is a lot cheaper than WHMCS and you can purchase an owned license. To me, Blesta's user interface on the admin panel & client panel is a lot more simple and easy to use, especially on mobile in comparison to WHMCS. Migrate Wordpress site from Apache to Nginx? How to automatically renew Let's Encrypt SSL certificates? How to have a fast dedicated server? 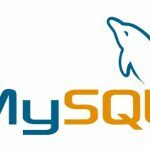 What is the difference between Mariadb and Mysql? How to backup a site using SSH? Cloudways Vs Server Pilot: Who is good to recommend? How to setup auto backup in cPanel? Removing Plesk from Linux Systems? WHMCS vs Blesta - Which one is better?